Retirement: A Great New Adventure. A gentle learning curve will take you right to our bay-side community. 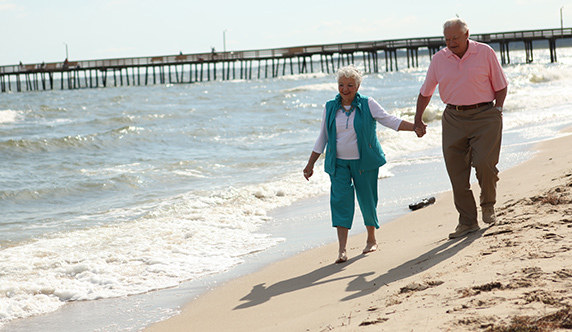 Navigating through the words, terms and phrases that will be part of your parents’ new world of retirement living could very well lead you to the Chesapeake Bay—right to Westminster-Canterbury. A civil rights law passed by Congress in 1980, prohibiting discrimination on the basis of disability. Daytime structured programs in a protective community setting with activities and health-related and rehabilitation services to elderly who are physically or emotionally disabled. A concept which advocates enabling a resident to choose to remain where he or she prefers to live, despite the physical and or mental decline that may occur with the aging process. Degenerative age-related disease that impairs an individual's cognitive ability. Symptoms may include forgetfulness, wandering, and inability to recognize others. The ability to move and walk around, not bedridden or hospitalized. A state-licensed program offered at a residential community with services that include meals, laundry, housekeeping, medication reminders, and assistance with Activities of Daily Living (ADLs) and Instrumental Activities of Daily Living (IADLs). The exact definition will vary from state to state, and a few states do not license assisted living facilities. A community planned and operated to provide a independent living, congregate housing, assisted living, and skilled nursing care for older people. A CCRC resident contract often involves either an entrance fee or buy-in fee in addition to the monthly service charges, which may vary according to the medical services required. Entrance fees may be partially or fully refundable. The fee is used primarily as a method of privately financing the development of the project and for payment for future healthcare. CCRCs are typically licensed by the state. See also Life Care Community. The full spectrum of care available at Continuing Care Retirement Communities which may include Independent Living, Assisted Living, Memory Care, Nursing Care, Home Health, Home Care, and Home and Community Based Services. Provision of medical and nursing services in a person’s home by a licensed provider. Care and comfort measures provided to those with a terminal illness and their families, including medical, counseling and social services. Most hospice care is furnished in-home, while specialized hospices or hospitals also provide this service. 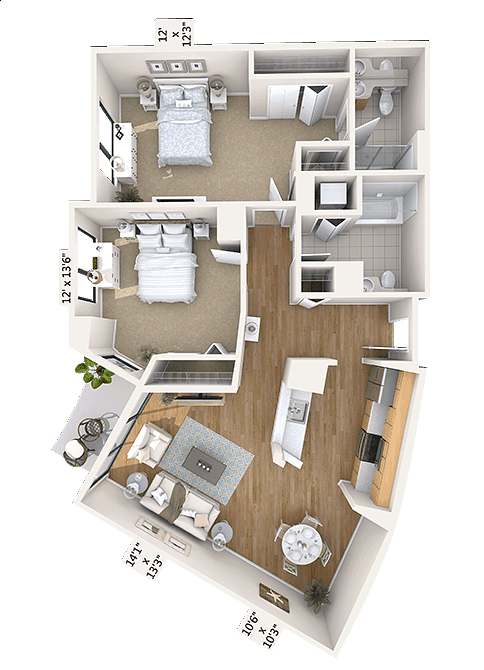 A multi-unit senior housing development that may provide supportive services such as meals, housekeeping, social activities and transportation (i.e., Supportive Housing, Retirement Community). May also be used to describe housing with few or no services (Senior Apartment). 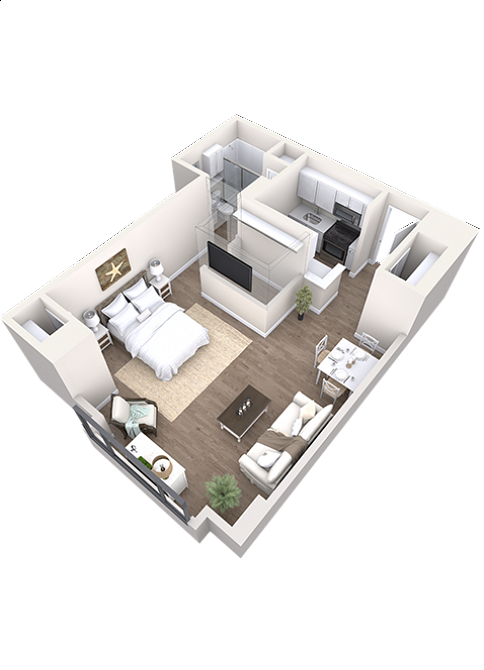 In general, a kitchenette features a sink, cabinet space, a mini-refrigerator, and possibly a microwave. A Life Care Continuing Care Retirement Community (CCRC) offers an insurance-type contract and provides all levels of care. It often includes payment for acute care and physician's visits. Little or no change is made in the monthly fee, regardless of the level of medical care required by the resident, except for cost of living increases. Services to persons of any age who are afflicted with chronic health impairments. A jointly funded medical financial Federal-State health insurance assistance program, offering benefits to individuals with limited financial resources, the disabled, and the elderly. There are income eligibility criteria which must be met to qualify for Medicaid. The person must have exhausted nearly all assets and be in a nursing facility that participates in this program. Medicaid can reimburse Nursing Facilities for the long-term care of qualifying seniors, and in some states, Medicaid pays for Assisted Living care through Medicaid waivers. A Nurse Assistant provides the most personal care to residents, including bathing, dressing, and toileting. Must be trained, tested, and certified to provide care in nursing facilities that participate in the Medicare and Medicaid programs. Nurse assistants work under the supervision of an Registered Nurse or Licensed Practical Nurse.